I have been passionate about hidden history and abandoned locations for pretty much as long as I can remember. I can say, however, that I can pretty much pinpoint what started my interest in these things — historic Route 30. When I saw younger, my parents would take Route 30 to Breezewood when we would go on vacation. 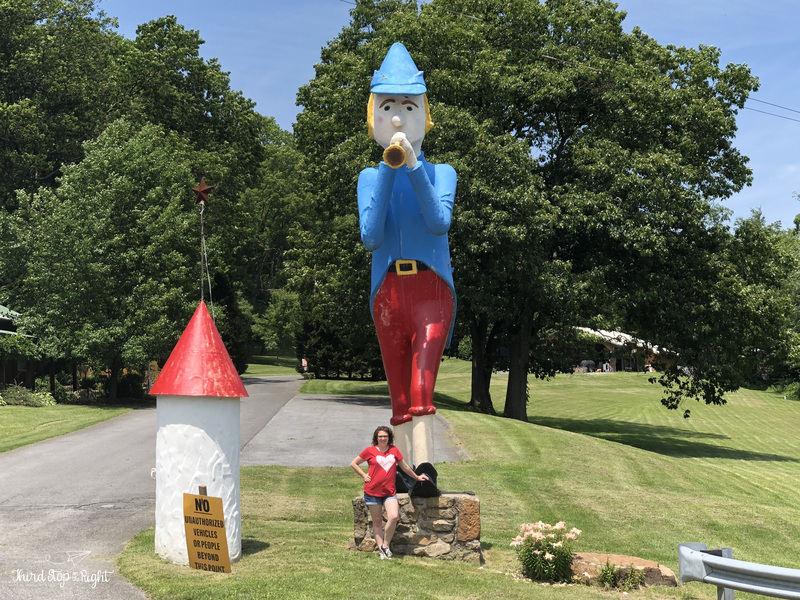 I was fascinated by the roadside attractions such as Idlewild Park, Kings & Queens Restaurant, the S.S. Grandview Ship Hotel, and of course, Storyland. 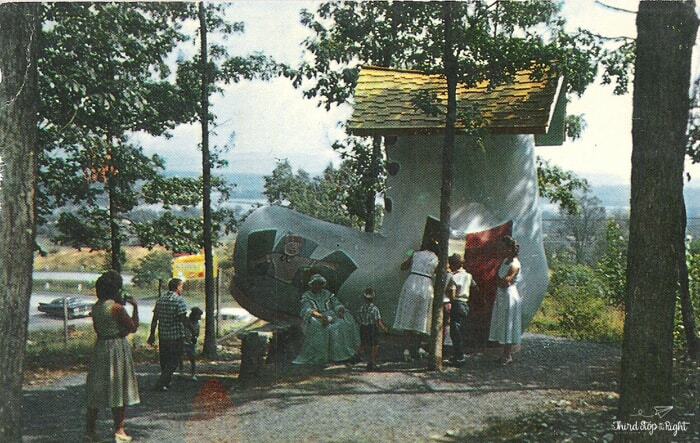 Of them all, Storyland was my favorite. It is the things that children’s daydreams are made of — ok, maybe not all children, but as least children such as myself who love imagining what once was. 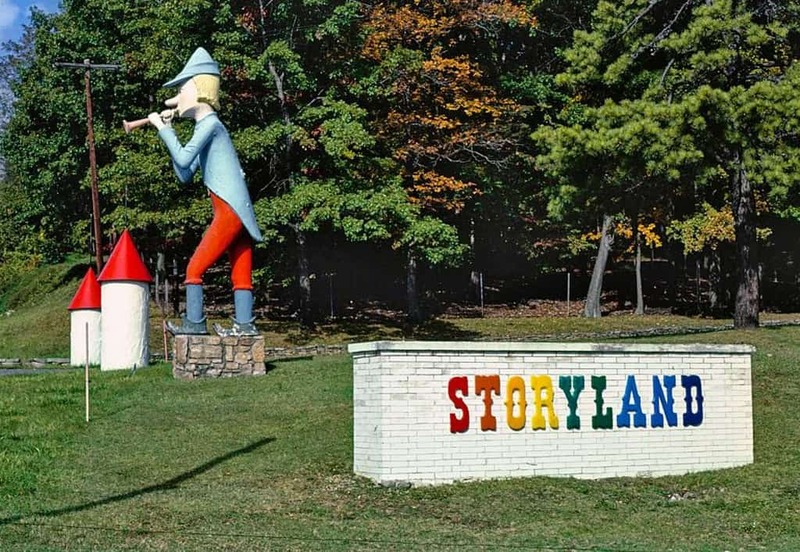 Storyland was opened in the 1950s as a roadside attraction. 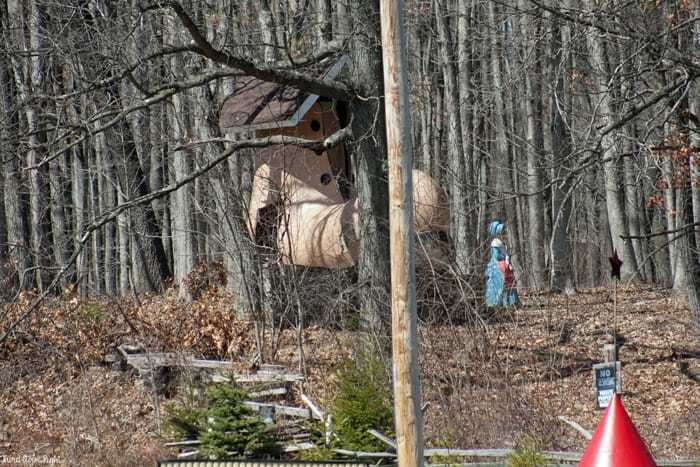 It featured many concrete figured from beloved fairy tales and nursery rhymes. 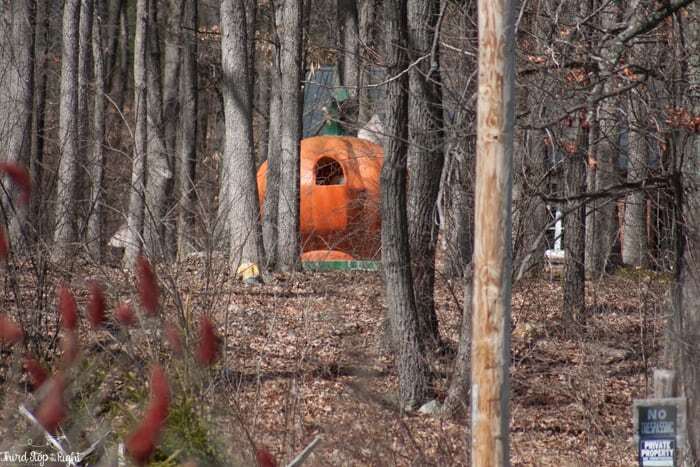 It was one of many of roadside attractions that popped up along Route 3o to attract tourist traffic. Unfortunately, the 80s were not a good time for Route 30 and the Lincoln Highway. By then, the turnpike became the preferred method of travel, bypassing many of the former attractions. This lead to a decline in traffic and forced many of the attractions to close. By the mid 1980s, Storyland closed for good. That’s not the end of the story, though. 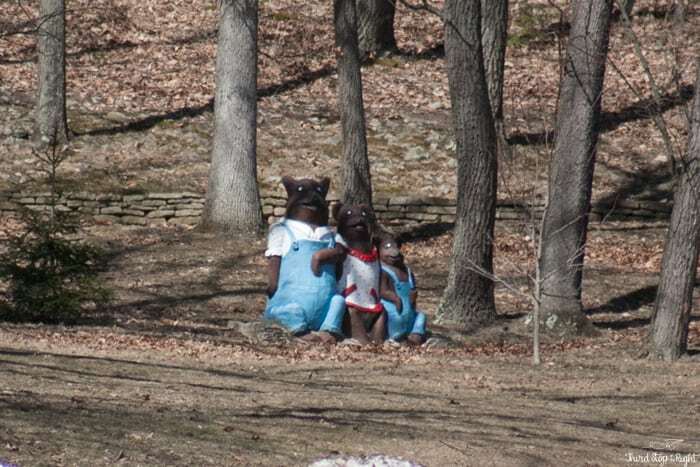 For years, the statues remained in the woods, falling prey to vandalism and Mother Nature. Paint was peeling and the castle was torn down. I feared the rest would soon follow. Thankfully, the site began to have a bit of a facelift around 2007. The owner’s daughter painted the statues and opened a country store near the entrance. If you look closely in the woods you will see remnants of the old park, including some of the old statues and buildings. Once again, although it may be tempting, DO NOT GO IN THE WOODS. Just look from across Route 30. Although I have long wondered what the park looked like when it was in operation, I found a few clues from old postcards and old photos I have acquired over the years. One of my favorite cards is the Old Woman in the Shoe. 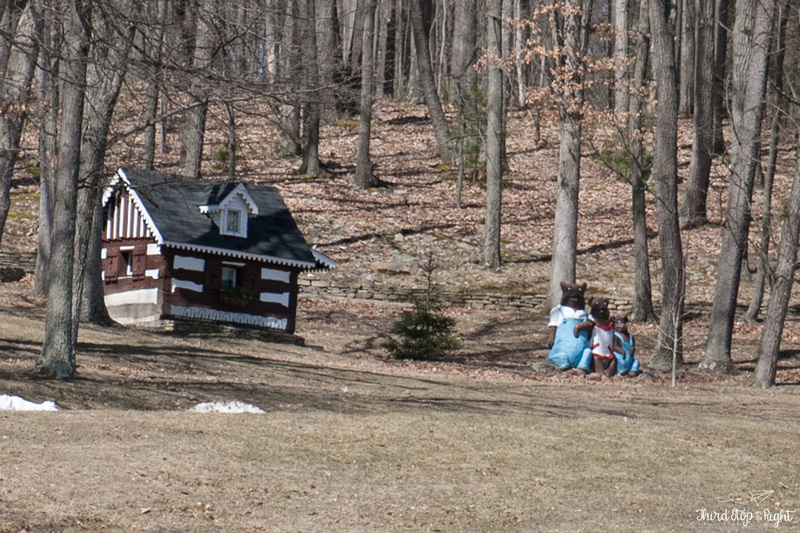 The day I visited Storyland I simply took photos of the park from across Route 30. 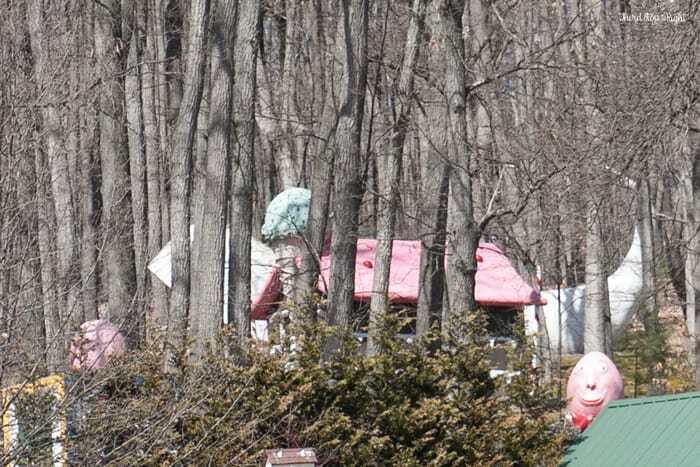 Of course, I would have loved the opportunity to see the park close up, but the owners were very adamant that no one was allowed in the woods. 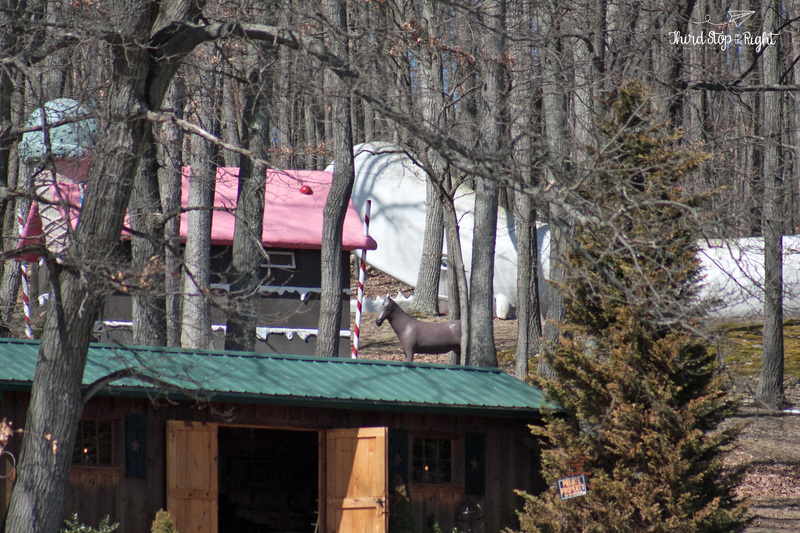 They still live on the property so that is totally understandable. This is what some of the attractions used to look like. 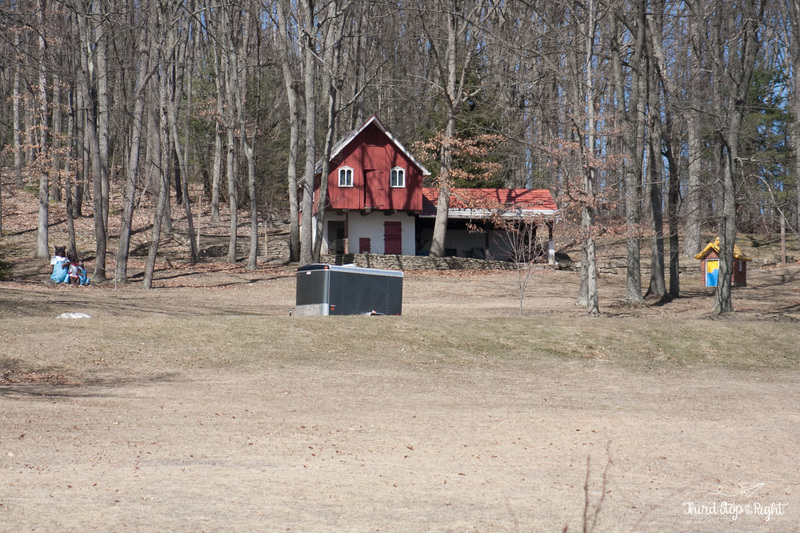 … and the barn for the cow jumped over the moon. 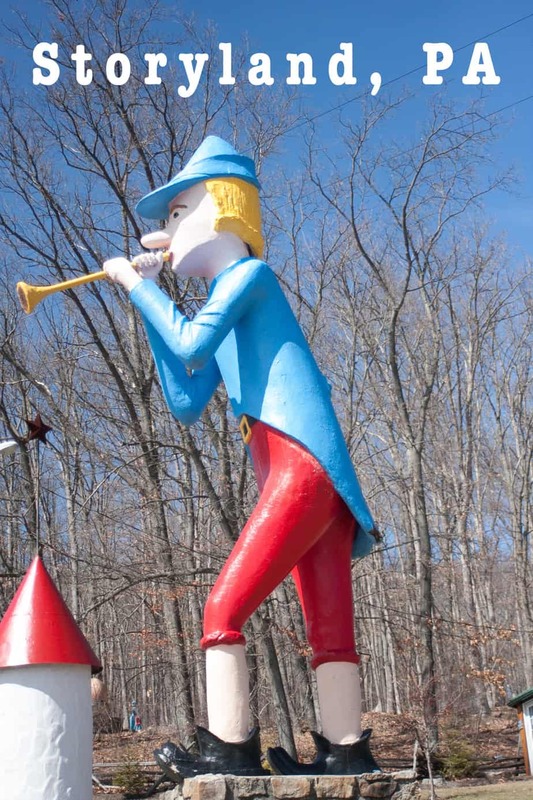 Although the days of many of this roadside attractions are long over, I’m glad to see that Storyland still exists and maybe, just maybe, the site of the old Pied Piper and other statues will ignite a passion for history and what once was in other children such as myself. However, if you are interested in checking out an operational children’s amusement park such as Storyland, you will want to check out Storybook Forest at Idlewild & SoakZone. 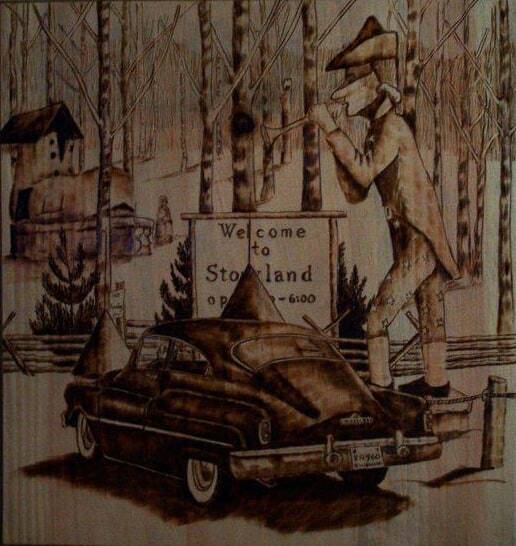 I used to visit Storyland back in the late 60’s & early 70’s when I was a kid and something that you may not know is that the Pied Piper used to play music as you drove past the park. We would hang our heads out the car window to see if he was playing when we drove by on the weekends! I LOVED that place! 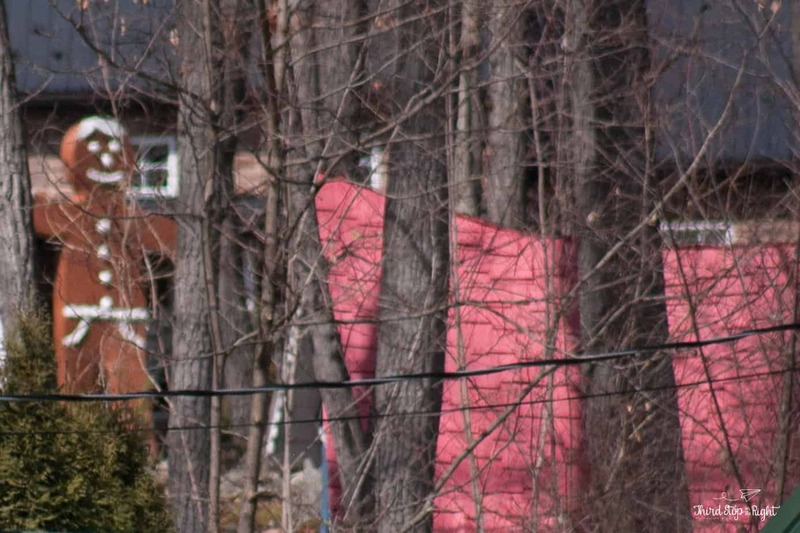 Also, I believe the father of the people who live on the property now constructed and handmade all of the buildings and characters on the property. What a creative man he was and knew how to make the children of the day happy! Thank you so much for the detailed info. 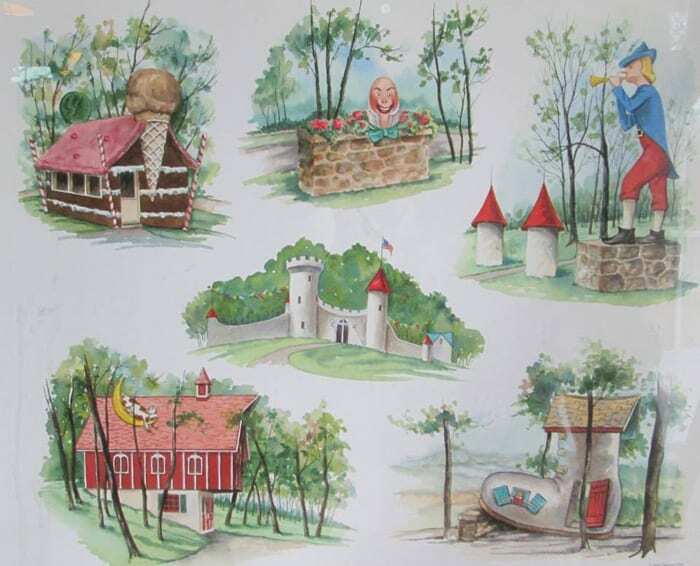 I love Storybook parks and drive by Storyland many years ago and often wondered about it. I lived near Fantasyland in Gettysburg, that closed in 1980, it was a magical place! Anyway I thoroughly enjoyed your article, Donna.